1. Add a little salt to karamani and cook till half done. 2. Soak the moong dal for 15 minutes and drain well. 4. 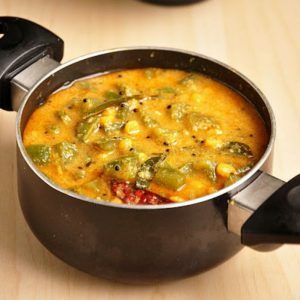 Fry the dry red chillies, urad dal, mustard seeds, asafoetida powder and bengal gram dal for 45 to 60 seconds. 5. Add the karamani, moong dal and stir well. 6. Add enough water and simmer for a few minutes or until all water has evaporated. 7. Garnish with coconut and curry leaves. 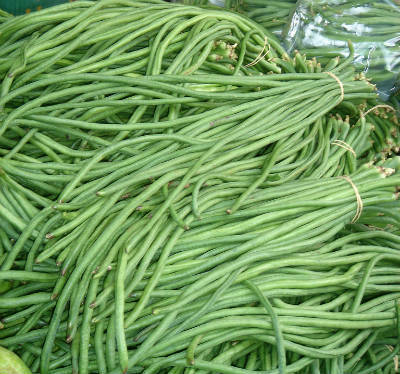 Feel free to comment or share your thoughts on this Karamani (Long Beans) Poriyal Recipe from Awesome Cuisine.